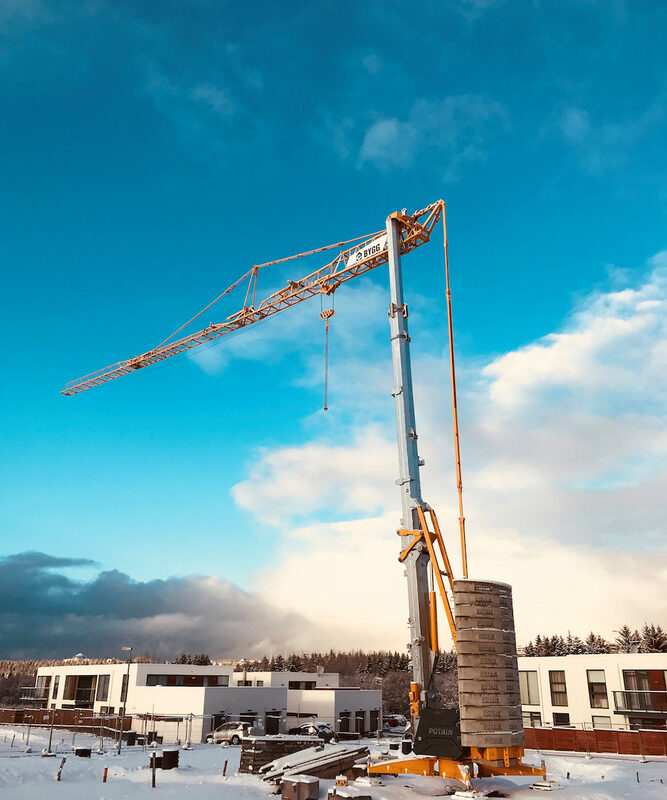 BYGG, Icelandic company specialized in building residential real estate, has received its first Potain Hup 32-27 self-erecting crane in one of their job sites in Reykjavik. Sold and delivered by Kraftvélar, Icelandic dealer of Manitowoc, this crane has a 4t capacity and a 32m maximum radius. BYGG chose the Cup 32-27 for its ease of transport and easy-to-use among other advantages. The company also acquired two Igo 36 self erecting cranes and one MD 125 city tower crane from the American group.